In a shocking incident, cannabis-infused chocolate brownies were served at a community luncheon for senior citizens in Canada. The incident happened at Ontario township of Whitestone where there were 900 people. It is currently not known how exactly the drug-infused cakes ended up at the elderly people's meeting. Ontario Provincial Police (OPP) has launched an investigation to find out more about it. After eating cannabis cakes, several people experienced nausea and vomiting. Around 10 of them were given medical care as they complained of feeling dizzy and disoriented. OPP Constable Miles Loach a police investigation has been initiated into the incident to find out where the brownies came from. CBC quoted him as saying, "These luncheons are catered. It's still part of the investigation whether that was what happened [that] somebody brought the wrong batch or somebody spiked them." Police said that until now there is no one with serious or lasting effects caused by the brownies. 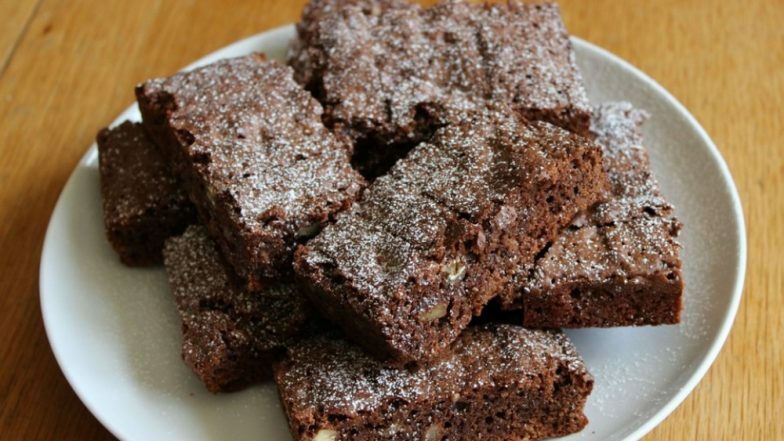 Company Fires Woman For Bringing Laxative Infused Brownies For Colleague's Farewell. James McNurdo, a semi-retired involved with the catering service told The Globe and Mail, "I have done these events for a number of years for this particular group so, obviously, I’m as mortified as anybody. We have got to get to the bottom of this, no doubt about it." Police initially suspected that some of the attendees were allergic to some substance in a particular food item, however, it was only later found that the brownies were drugged. It is not known if it was a prank or someone deliberately did it. Canada legalised and regulated cannabis last year.